Art sometimes inspires me to write poetry. Below are two paintings and the poems they inspired. Please read Lin’s post A New Way of Looking: Ekphrasis for an introduction to this idea. It is often not enough to just see a painting and write; sometimes research into the subject or the artist is helpful. I researched James Joyce for the poem, “Joyce.” The painting was incorrectly titled “Joyce in the City” on another website, where I was inspired to write the poem. 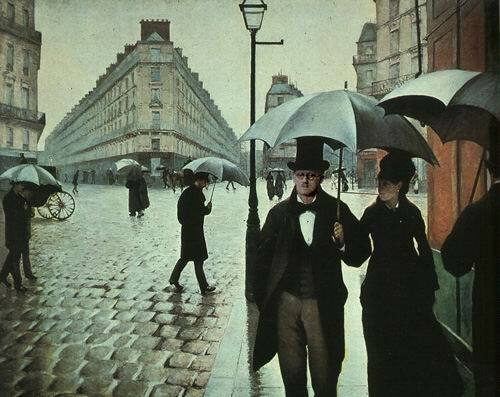 The correct name for the painting is Paris Street, Rainy Day by Gustave Caillebotte, 1877.
failed, until you acquired a patron. What can you take away from this? 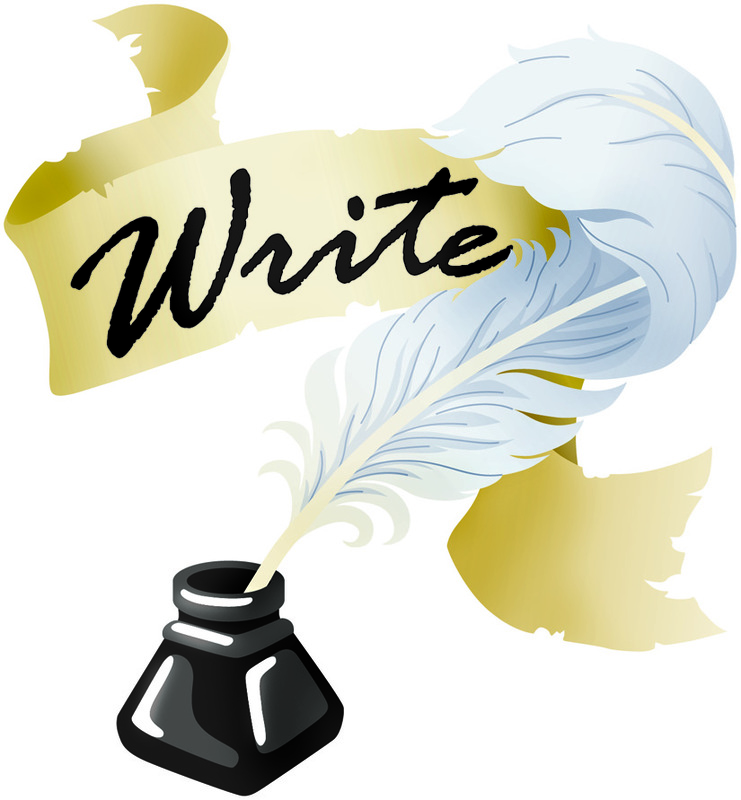 If you need inspiration, look online for paintings to inspire your writing. They can be modern art, classical, fine art, or even photographs. You don’t have to research the subject of the painting or photograph or the artist, but it adds depth to the final work. Great explanation of your process. Love the poems. So much to see and hear in what’s masked and unsaid. Great plumbing of Joyce’s backstory. I wonder at the actual feeling level of his pain, how much power it took to control it, and how much he understood about what he himself wrote. 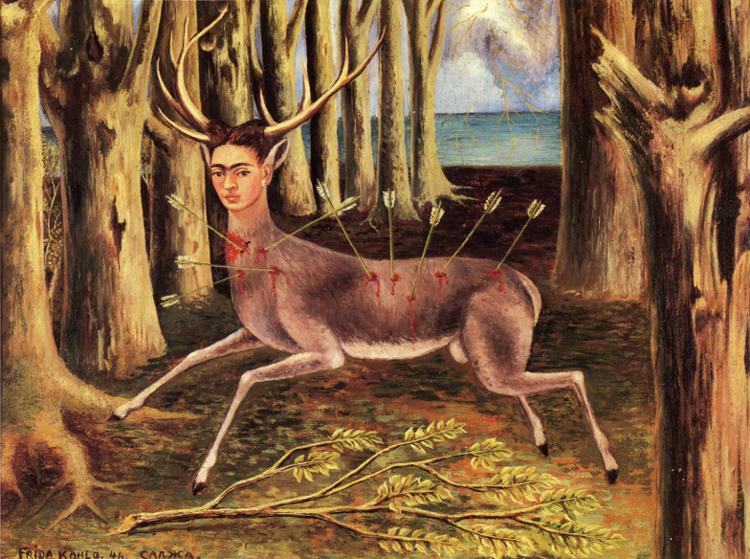 Frida, as always, wears her pain as armor, for the world to touch. Loved your last line especially — “aching to martyr” — the essence of their active goal. Wonderful job here. This form seems a way of writing from inside the paint itself.